By Dr. Carolyne "Isis" Fuqua. Discovered by Player FM and our community — copyright is owned by the publisher, not Player FM, and audio streamed directly from their servers. 2010 episodes available. A new episode about every 21 hours averaging 1 min duration . A Course in Miracles Lesson 110 I am as God created me. A Course in Miracles Lesson 109 I rest in God. A Course in Miracles Lesson 108 To give and to receive are one in truth. A Course in Miracles Lesson 107 Truth will correct all errors in my mind. A Course in Miracles Lesson 106 Let me be still and listen to the truth. A Course in Miracles Lesson 105 God's peace and joy are mine. A Course in Miracles Lesson 104 I seek but what belongs to me in truth. A Course in Miracles Lesson 103 God, being Love, is also happiness. A Course In Miracles Lesson 102 I share God's Will for happiness for me. A Course In Miracles Lesson 101 God's Will for me is perfect happiness. A Course In Miracles Lesson 100 My part is essential to God's plan for salvation. A Course In Miracles Lesson 99 Salvation is my only function here. A Course In Miracles Lesson 98 I will accept my part in God's plan for salvation. A Course In Miracles Lesson 96 Salvation comes from my one Self. A Course In Miracles Lesson 95 I am one Self, united with my Creator. A Course In Miracles Lesson 94 I am as God created me. A Course In Miracles Lesson 93 Light and joy and peace abide in me. A Course In Miracles Lesson 92 Miracles are seen in light, and light and strength are one. A Course in Miracles Lesson 80 Let me recognize my problems have been solved. A Course in Miracles Lesson 79 Let me recognize the problem so it can be solved. A Course in Miracles Lesson 78 Let miracles replace all grievances. A Course in Miracles Lesson 77 I am entitled to miracles. A Course in Miracles Lesson 76 I am under no laws but God's. A Course in Miracles Lesson 75 The light has come. A Course in Miracles Lesson 74 There is no will but God's. A Course in Miracles Lesson 73 I will there be light. A Course in Miracles Lesson 72 Holding grievances is an attack on God's plan for salvation. A Course in Miracles Lesson 71 Only God's plan for salvation will work. A Course in Miracles Lesson 70 My salvation comes from me. A Course in Miracles Lesson 69 My grievances hide the light of the world in me. A Course in Miracles Lesson 68 Love holds no grievances. A Course in Miracles Lesson 67 Love created me like itself. 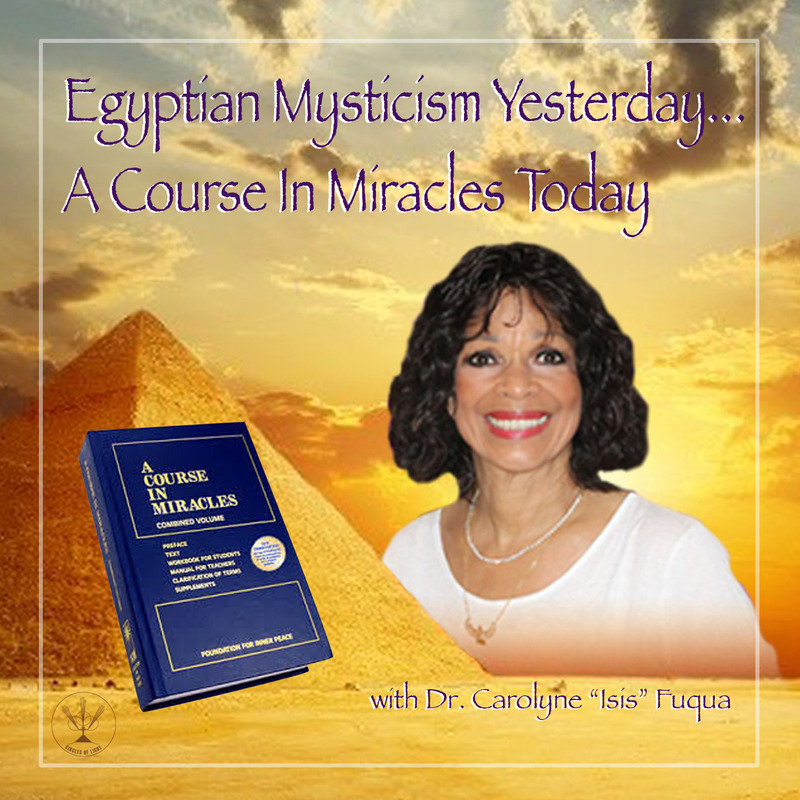 Start listening to Egyptian Mysticism Yesterday… A Course in Miracles Today on your phone right now with Player FM's free mobile app, the best podcasting experience on both iPhone and Android. Your subcriptions will sync with your account on this website too. Podcast smart and easy with the app that refuses to compromise.